The arrest of eight Indian students-turned-recruiters, six of whom are from the two Telugu states, under the 'pay for stay scheme' at the phony University of Farmington University, has opened a can of worms. Despite prosecutors allegations that everyone involved with the school knew that university was not staffed with instructors and had no actual classes, they enrolled with the university with the sole intention to commit fraud, students enrolled with the "fake' University, criticised the undercover operation as "misleading" and said some students had believed they were enrolling in a legitimate program. Kambhampati Rammohan Rao, Special Representative of AP in Delhi, wrote to Minister for External Affairs Sushma Swaraj and Kenneth Juster, the US Ambassador to India, requesting them to help out the students from the State, who were detained for alleged immigration fraud. In the letter to Sushma Swaraj, he stated that the students who were enrolled in a fraudulent university in Metro Detroit were arrested by US federal authorities and are likely to face deportation. "According to US Immigration and Customs Enforcement (ICE), the students' nonimmigrant student status has been terminated because they are not pursuing a full course of study or participating in authorized practical training. These students, hailing from rural and poor background, have been cheated by consultancies. Their parents are worried that they will be deported to India. 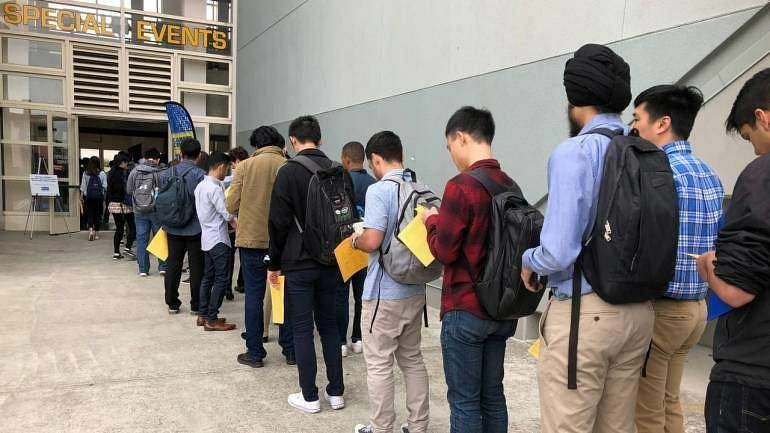 However, all these students have valid admissions in various universities in the US but a few are taken into custody by US authorities," Rammohan Rao said. He further requested the minister to take up the issue personally and communicate with the US government and help out the students. He also urged her to provide legal assistance to the students, who are facing the threat of arrest. Similarly, in the letter to Kenneth Juster, he stated that a large number of students from Andhra Pradesh aspire to study in the US and apply for various universities. "A number of students who have enrolled in a fraudulent university in Detroit were detained and face deportation. In fact, all these students are made to believe that their admission in this university is valid. Some students have also been taken into custody. The development would spoil their future. On behalf of our CM Chandrababu Naidu, I request you to take immediate steps to stop harassment of these students and see that they are not punished for no fault of them." Meanwhile, APNRT society has set up a helpline for the students and is trying to reach out to the students and help them in all legal work by engaging coordinators. “The parents of the students need not panic as APNRT will provide all support and legal assistance through their coordinators,” said APNRT president V Ravi Kumar. He asked the parents not to worry as the students are the victims and after verification of the legality will be deported to India, however, stern action will be taken on the agents for misleading the students. He further said that Hundreds of Indians living in the US face deportation, a further ban on entering into the country, and even arrest, because of a massive operation conducted by the US Department of Homeland Security. A Hyderabadi student currently in Pennsylvania said that several students were left high and dry when the STEM program at the Northwestern Polytechnic University at California lost accreditation. " They were forced to enrol in another university that also offered Curricular Practical Training ( CPT). Now staying in the US is no mean feat and with its low tuition fees, emphasize work experience Farmington University appeared to be an attractive option," he said. In addition, some with proper masters' degree too while waiting for their specialty work visa sometimes enrol in school as a "stopgap measure", he said. "But the way the government set up the unsuspecting students to join the university is questionable," he added. His apartment had been raided at 4 am on 30 January, Homeland Security and Immigration (HSI) officials were looking for his roommate who is a student at the University of Farmington. While over 130 students been detained in addition to the eight facing criminal charges the other 500 enrolled students are in a grip of fear. Several of them have already fled the country. Another Telugu student from Hyderabad returned home on Friday after his girlfriend was had been picked up by the police during the raid at Maryland. Recounting the ordeal he said that it was "traumatising waking up with six cops barging into your house, searching it and make you stand like criminals." The student who was pursuing MS from the Farmington University while working said that all students who were detained were handcuffed like criminals and taken away. "Most students are now thinking of coming back to India. We were all very scared," he said and added that for most students pursuing MS degrees feel the need to make some money too. "But this country is throwing us out after making money from us." Naveen Jalagam, West Coast regional In-charge of TRS USA said there is a need to change the mindset of both students and parents. "Students who come to US on F1 student visa must not see it as an opportunity to make money. Till they are studying then must focus on that only. And parents should send their children to the US to study only if they have the means to. Often students feel burdened to send money back home. They take up jobs and eventually fall into such mess," he said. After a student on F1 visa get his degree, he is given 29 months work permit during which he can work and get his visa upgraded to H1B. Despite the outrage from Indians both in the US and back home that the Fed authorities entrapped the students, Mohan Nannapaneni, founder of Team Aid to feels that the allegation is wrong because at no point the authorities approached the students. "The students themselves got in touch with the university. Besides, the HSI is within its legal rights to entrap students engaging in illegal activities," he said. AP NRT CEO Bhavani Shankar said that sting operation was done earlier also to weed out such fake universities and said the students who go to the US should know the law. He said that to tackle the present situation APNRT has set up a help desk and will help the students as they are the victims. He said that there are 290 AP NRT coordinators across the world and can dial the Helpline number 08632340678, for assistance round the clock.